As we enter our 30th year, we’re delighted to be strengthening our team and continuing to enhance our reputation as a progressive financial planning firm that offers an outstanding service to families and business owners across Teesside. We understand just how important it is to stay ahead of the curve and we’ve always been a firm that has championed innovation. Therefore, our team and the technology we use develop continuously to ensure we maintain the highest possible standards. Since July 2017, we’ve increased staff numbers from 11 to 17 (including partners), in line with exceptional growth during this time. We’ve achieved this by bringing on board an additional financial planner, innovative technology experts, an experienced marketeer and developing the role our talented paraplanners play in forming the advice we give. The financial services sector has evolved dramatically over the past few years with an increased emphasis on teamwork across departments and a higher level of expertise within all roles. The focus is now on a collaborative approach which serves to substantially improve the client experience. 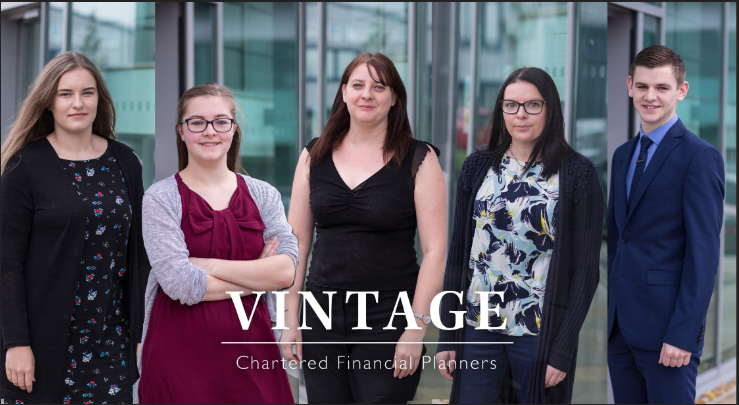 One of the key new roles within Vintage is that of the financial planning analyst. This is a technical development from the role of paraplanner, which initially emerged around 10 years ago, and now forms a key part of the setup of any forward-thinking financial planning firm, though many outsource this work. The growth of our team of analysts began with the addition of Lisa Tipton, who holds individual chartered financial planner status with the Chartered Insurance Institute. Lisa has been a force in financial planning for some time and is adept at developing processes and ensuring our advice is not only compliant but fits the objectives and needs of the client impeccably. Lisa heads up a team of five, overseeing delivery of the advice the financial planners present to their clients. Her team is responsible for researching and preparing suitable recommendations in line with the client’s needs and objectives and ensuring that all technical research is completed to the highest possible standard. As our team continues to grow, our track record for retaining staff remains strong, with several members of our team having been with us for more than 20 years. The longest serving member of the analyst team is Sophie Hendy who has been with the firm for four years and holds a Diploma in Financial Planning. Sophie supports Lisa in the training and development of the more junior members of the team. The team has also been enhanced by the additions of Olivia Hood and junior members Chris Jackson and Heather Camsell-Graham. Olivia brings with her three years of experience in an analytical role, while Chris is just beginning his promising career after joining from college. Heather initially joined Vintage a year ago as an apprentice but quickly impressed the leadership team with her dedication and desire to learn. In October this year we will be celebrating our 30th year in business which we attribute to our exceptional client relationships, talented team and dedication to innovation. We offer financial planning advice to individuals and businesses across Teesside from our office at Preston Farm.